cactus v6 ii(tx mode) + another brand trigger and reciever for HSS. First of all, I can't speaking and writing english well. I hope you guys understand my situation. 3 month ago, I used nikon. Nikon is possible HSS. BUT now, I have fuji X-T1, X-T2 and 4 Godox speedlight. and I am crazy. because HSS. I know Cactus is possible. but, I can't buy 5 cactus v6 ii. Yesterday, I watched video to cactus v6 ii(tx mode) + another brand trigger and reciever for HSS. It was work. then, I buy 1 cactus v6 ii, and using my godox trigger and reciever, Is it possible HSS? This is the video i watched. What Godox speedlight are you using? If if it is one of the newer ones, such as AD360II for Canon / Nikon, then yes. HSS is possible. Just mount a V6 II (TX) on camera and the Godox speedlight on another V6 II (RX). ... I know Cactus is possible. but, I can't buy 5 cactus v6 ii. We always recommend one V6 II per device (camera / flash / speedlight). That is how the V6 II is designed to function. Can you add an RF60 flash to this set up and as well? The RF60 won't need a receiver but will it also fire when the others are triggered in this set up? Yes you can. 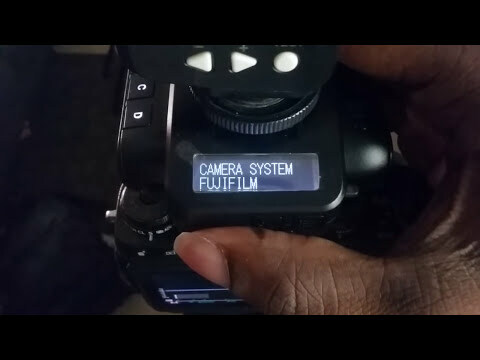 In fact, you can add as many as you want and it will fire a flash in sync with other connected studio strobes.